About half of all maternal deaths in the US are due to trauma because not many women die in childbirth anymore. In pregnancy-related trauma, there are two patients to try and salvage, although this may not always be possible. The leading causes of pregnancy-related trauma were motor vehicle accidents, falls, and assaults. Young pregnant women are at a greater risk of injury when compared to older pregnant women. Complications of trauma include preterm labor, placental abruption (the breaking away of the placenta from the uterine wall), and cesarean deliveries. Infants born to injured moms were more likely to be preterm at the time of their birth. The leading cause of fetal death were motor vehicle crashes, followed by firearms, and falls. Eleven percent of the time, maternal mortality was the cause of the fetal death as well. Young pregnant women are at a greater risk of suffering from assault-related injuries. Up to 30 percent of women are abused during pregnancy with fetal death occurring in 5 percent of cases. The pregnancy-associated homicide rate was 1.7 per 100,000 live births. By the end of the pregnancy, the weight of the uterus increases to one kilogram, up from 60 grams before pregnancy. Uterine blood flow is significantly increased as the pregnancy advances with dilation of the veins exiting the uterus. This means that pelvic trauma can lead to a great deal of bleeding. When dealing with pregnant women before getting to the hospital, oxygenation is important as is the restoration of blood volume so that the blood flow to the uterus can remain intact. The person must have a wedge placed under the right hip to displace the uterus to the left side for maximum blood flow to the uterus. Signs of shock may be delayed in a pregnant woman until more than 35 percent of the blood volume is lost because of an expanded blood volume in these patients. The fetus will be in jeopardy long before that amount of blood is lost. This means that fluid and blood should be given aggressively in these patients. During the secondary survey, ultrasound of the chest cavity and abdomen should be done to look for areas of bleeding inside these cavities. The determination of the fetal age is important when it comes to deciding what to do about the fetus and the mother. This can be done by examination or by taking a careful history of when the pregnancy first occurred. The pregnancy must be assessed by evaluating for vaginal bleeding, ruptured amniotic sac or bulging perineum. Bloody amniotic fluid usually means that the placenta has separated from the uterus and the fetus is getting less than adequate oxygenation. If the perineum is bulging, it could mean that the fetus is about to be delivered or that a miscarriage is happening. Contractions can be felt by putting a hand on the abdomen and counting the number of contractions in a period of time. The fetus can be assessed by fetal heart rate monitoring and by ultrasound. Fetal heart rate monitoring should be done in any situation where a woman has been injured, and the fetus is viable. The fetal heart rate monitor is an accurate way of measuring fetal distress following a trauma. It can also assess the presence of uterine contractions. Blunt trauma to the abdomen is usually rapidly fatal for the fetus. Commonly, the placenta will separate from the uterus as a result of shear forces in a blunt trauma situation. If there is more than 50 percent separation, this is usually fatal for the fetus. Patients with these risk factors should be monitored for a minimum of 24 hours to make sure there is nothing wrong with the fetus. An x-ray should not be withheld if it is necessary to evaluation. The earlier the pregnancy, the greater is the risk of x-ray exposure to the fetus. Even so, an x-ray may be required to evaluate the mother. Plain x-rays usually don’t provide much radiation to the fetus, and CT scanning is only a little bit higher exposure than a plain x-ray. An MRI can be substituted for a CT scan with low risk to the fetus. Women who are pregnant can suffer from injury to the chest that can affect oxygenation to the fetus. Blunt abdominal trauma should be treated the same as with a non-pregnant woman, with repair of damaged organs done the same way as with a non-pregnant patient. Pelvic fractures are especially challenging. There can be massive hemorrhaging from the dilated vessels of the pelvic area. Pelvic fractures in a pregnant mother result in fetal death as high as 35 percent. Some women have gone on to normal vaginal deliveries just weeks after a pelvic fracture. Fetal injuries can occur even though the fetus is cushioned by amniotic fluid. Common injuries are those to the fetal head with the head engaged in the pelvis. If the uterus ruptures, there is usually profound maternal shock with the presence of fetal parts outside of the uterus on x-ray or ultrasound. Separation of the placenta from the uterine wall usually can be identified by ultrasound and is evidenced by vaginal bleeding and contractions of the uterus. 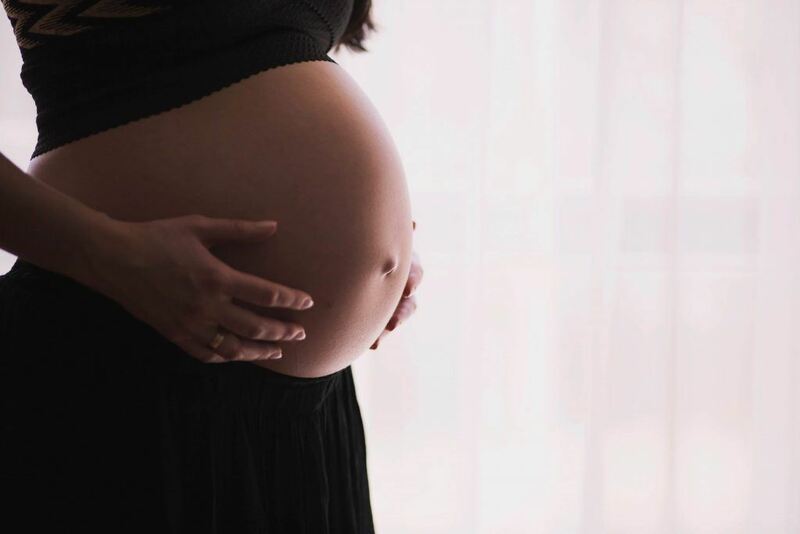 Brain injuries to the mother can adversely affect the pregnancy because it can change the amount of necessary hormones released by the brain. Burns are other common injuries to pregnant mothers, especially in developing countries. Fluid resuscitation must be vigorous, and inhalation injuries must be treated aggressively so that the fetus can get enough oxygen. In a trauma situation, if the mother presents to the emergency department near death, a Cesarean section should be performed to save the baby. If the fetus is delivered within 5 minutes of maternal fatality, there is a 70 percent chance of fetal survival. I’m Ed Smith, a Sacramento personal injury lawyer helping women who were injured while pregnant. Call me anytime at 916.921.6400 or 800.404.5400 for free, friendly advice.